We live in a world that offers seemingly unlimited access to what was previously only available to the select view. Times are changing. In January, Cleveland Museum of Art threw open its doors to Open Access, removing all restrictions from use. We live in a digital age that delivers information to us on demand, wherever we are, whenever we ask. We are connected to a vast communication system that spans the globe. The way we connect, share and integrate knowledge will continue to transform the way we work, learn, and engage within a complex society. 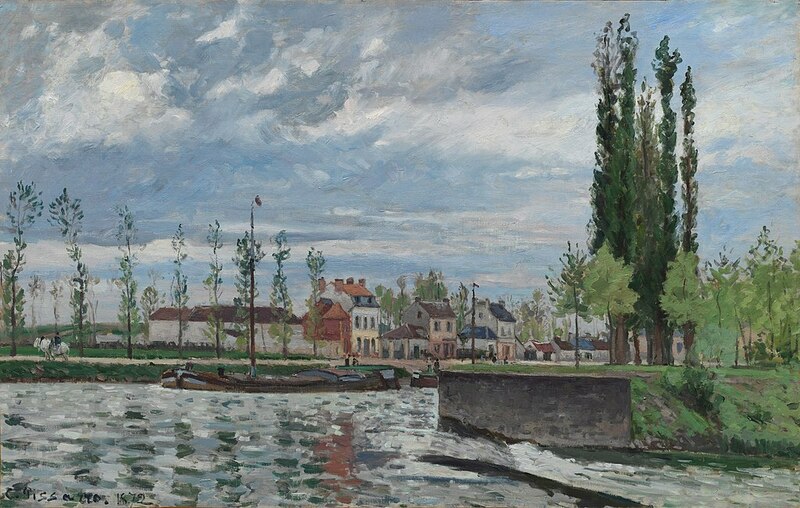 This is from Wikimedia Foundation: “This week, the Cleveland Museum of Art implemented a clear and permissive open access policy, removing all copyright restrictions on photographs of 30,000 items and releasing all metadata related to the 61,000 works in their collection. In short, this means that anyone, in any context, can access, reuse, and remix the collections. Interesting idea. If they’re rights free, and one can do what they want creatively, then I see another area of art advancing! I can too. I am looking into to the idea of public domain, and Creative Commons. There is a great deal of thought that is going into open access and copyright – we are going through a transition with the advance of our technology. I continue to learn. I had an interesting day at the Vancouver Art Gallery. The paintings that were on display showed the progress of artistic endeavour. https://www.vanartgallery.bc.ca/the_exhibitions/exhibit_frenchmoderns.html. We owe a debt of gratitude to our artists. Hugs! SO VERY INTERESTING! Thank you for sharing this really unusual and widening experience. It is really opening new and wonderful education and experience on many avenues–a new world open to those of us all over the world, really. NOW, let us use and experience all this for ourselves. We must not let this opportunity lie dormant, but take the opportunities that this offers. I agree – we need to structure our daily routine to include time for creative exploration. Even if it is only 10 minutes a day, the benefits will be exponential. We see the world through the lens of someone who lived in a different time and location. It broadens our experience and encourages us to engage in artistic endeavours. Thank you for your “call to action” comments – very much appreciated. Wow that is quite incredible – I look forward to taking time to see what treasures they hold. Thank you so much for sharing this information. You will love exploring this space. It has given me a new appreciation for what it takes to create archives that preserve artistic endeavours for future generations. I am going through my father photos and looking for ways to safeguard the originals, while living in limited space. Then there is the format that needs to be current. We have digital now but what format will it take next. I remember VHS and floppy discs YIKES!!! This is great news which I’ll share with our family’s art educators! Thank you! There is a treasure to be found – I am enjoying the journey. I love having such easy access to beautiful collections. And I love the way the video explains that open access is transformative. It truly is. I agree – having access to collections miles away provides enormous benefits. I have never been to Cleveland, but I have been a visitor at the Cleveland Museum of Art. Each art piece has a history attached. For example, the exhibitions where the painting was displayed. We live in an age of transformation. Exciting times! Love that quote. The idea of open data is a hot topic these days. The European Commission, Horizon 2020 stated: “Nowadays, it is widely recognized that making research results more accessible contributes to better and more efficient science and to innovation in the public and private sectors.” But there are logistical, privacy, ownership issues that prevent a full understanding of open data. For example, Cleveland Museum of Art allows anyone to use their resources for commercial purposes. This was unheard of even a decade ago. We are in the midst of something exciting with potential of exponential outcomes. We live in exciting times. It’s an area that is fraught with pitfalls and problems. I have read quite a few things by crochet and knitting designers recently, where their work has been plagiarised or downright stolen. I think we have a long way to go with solving the totality of such issues (not sure if we ever can). But hopefully we can get to a place which balances appropriate free access to public art with the rights of artists. I agree – this is a huge conversation that is happening, in the here and now, as we move forward with advances in technology that promise unimaginable opportunities. Your thoughts on balance will be front and centre of the discussion.